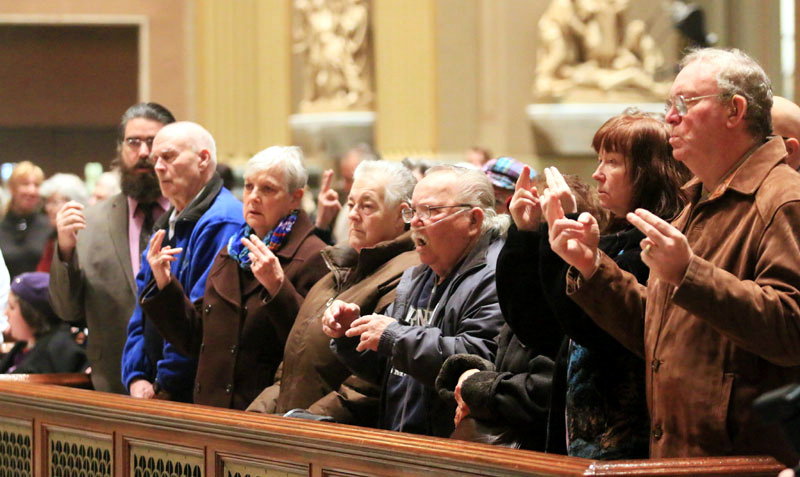 Dolores from Divine Providence Village turns to offer her friends a sign of peace. 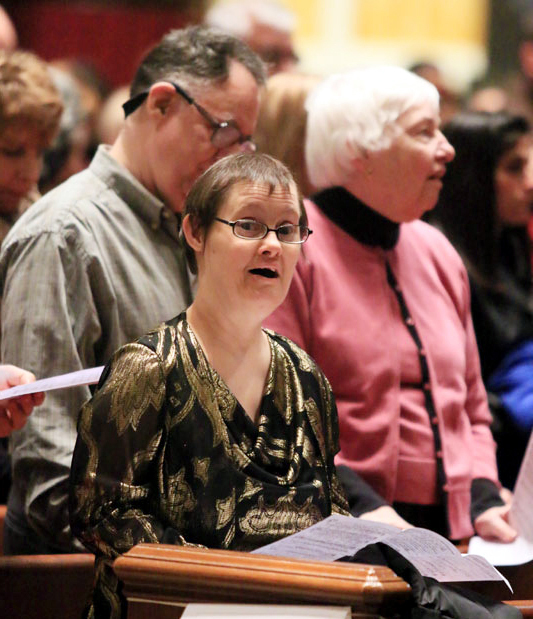 Helen attends the Mass from Divine Providence Village. 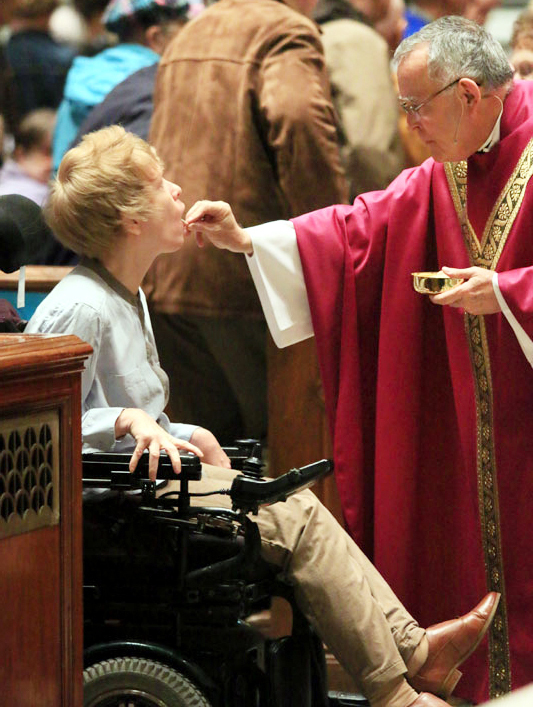 Shane from St. Edmond’s Home for Children gives a kiss to Mary Flounders who is the camp director’s assistant. 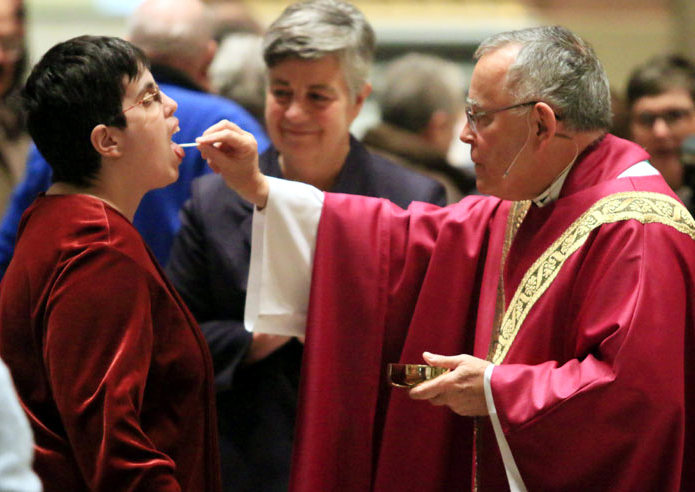 Patricia from Divine Providence Village receives Communion from Archbishop Chaput. 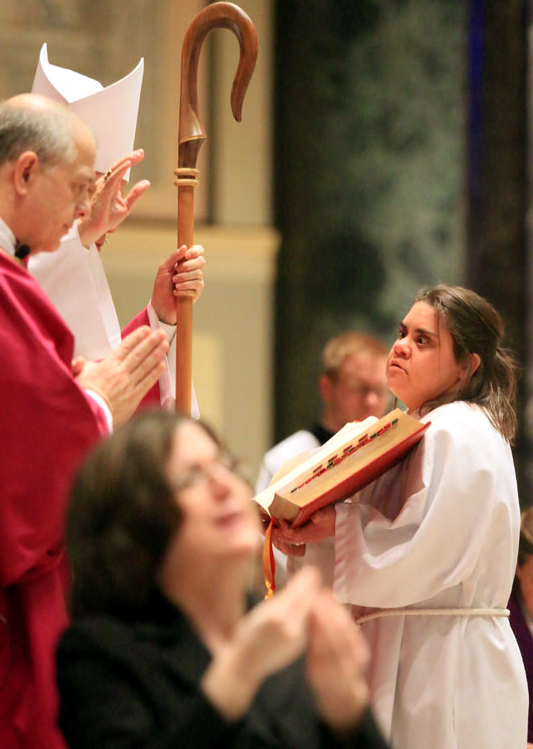 Maria Dewan from St. Francis Xavier Parish recives Communion from Archbishop Chaput. 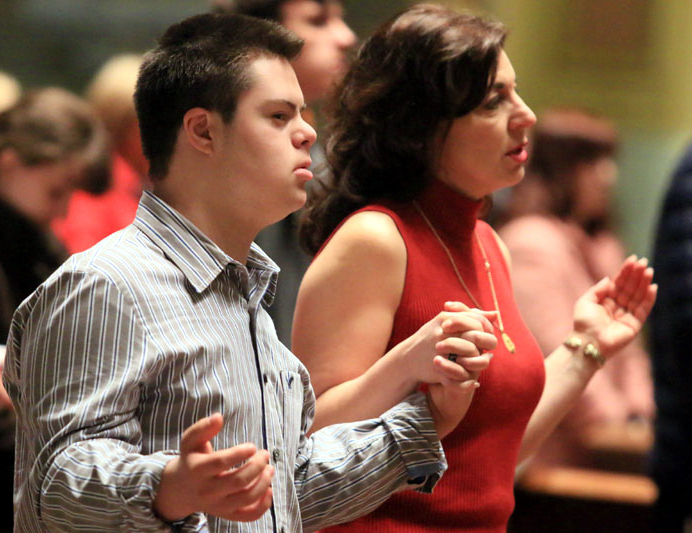 The children of Catholic Community Choir lend their voices to the Mass. 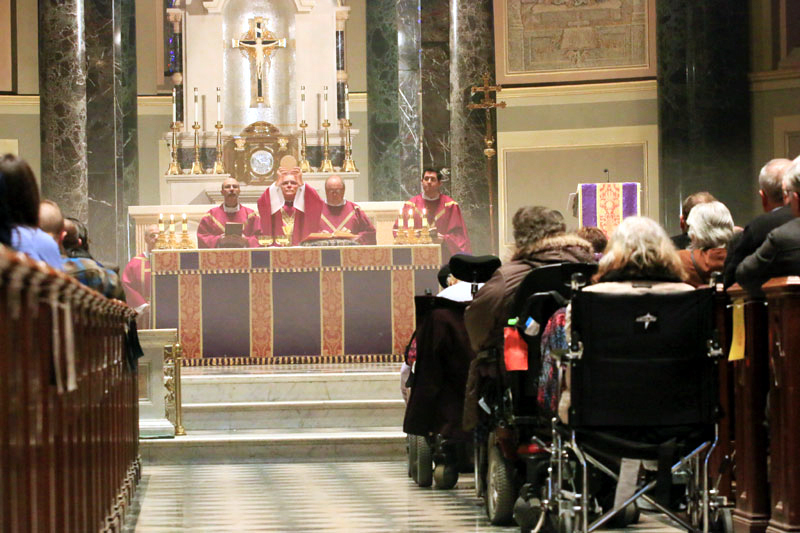 Sister Kathleen Schipani, I.H.M., director of the archdiocesan Office for Persons with Disabilities and the Deaf Apostolate, was a key organizer of the annual Mass. 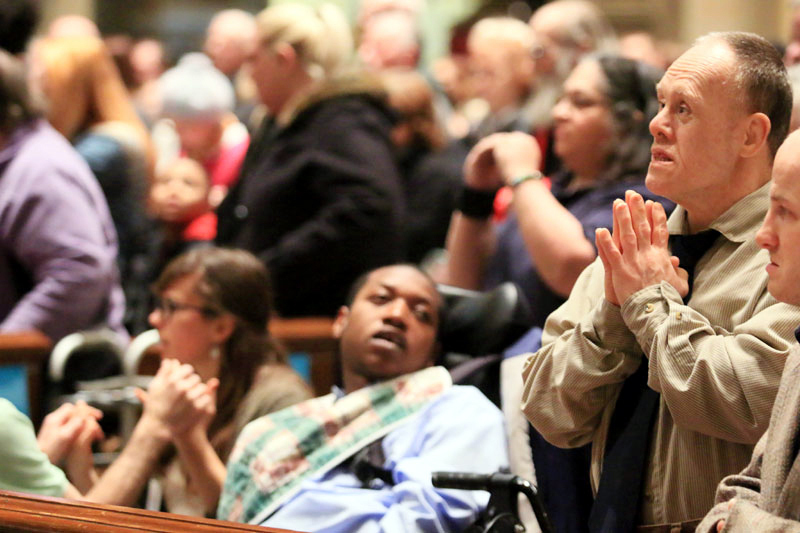 Mary Jo from Divine Providence Village holds the book of prayers during Mass. Men of Don Guanella Village served at the altar for the Mass. 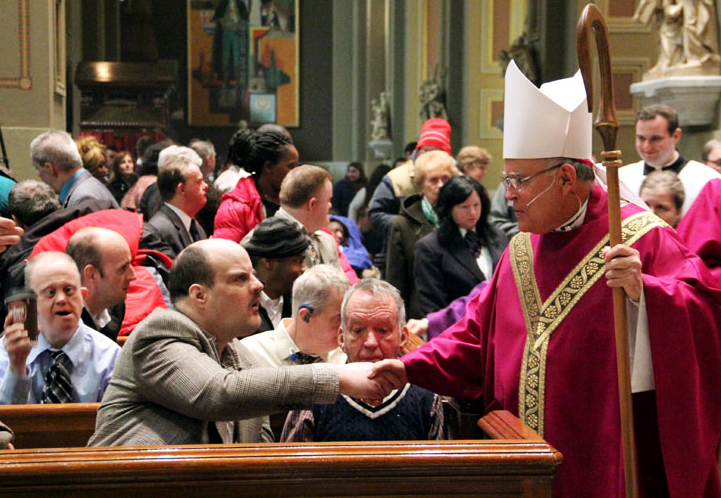 Archbishop Chaput stops after the recessional to greet the men of Don Guanella Village. 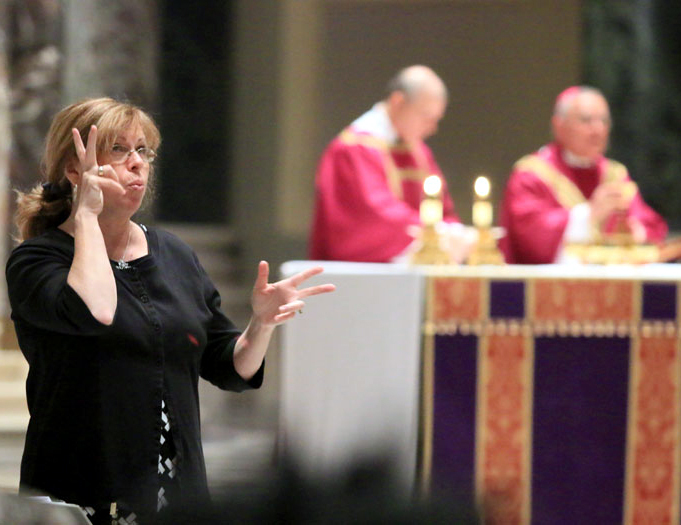 All the words of the Mass were translated into sign language for the deaf participants. 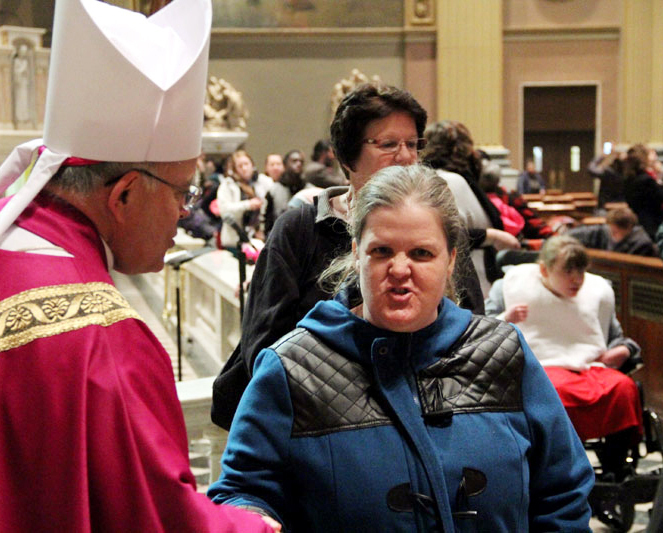 Mary from Divine Providence Village chats with the archbishop after Mass. 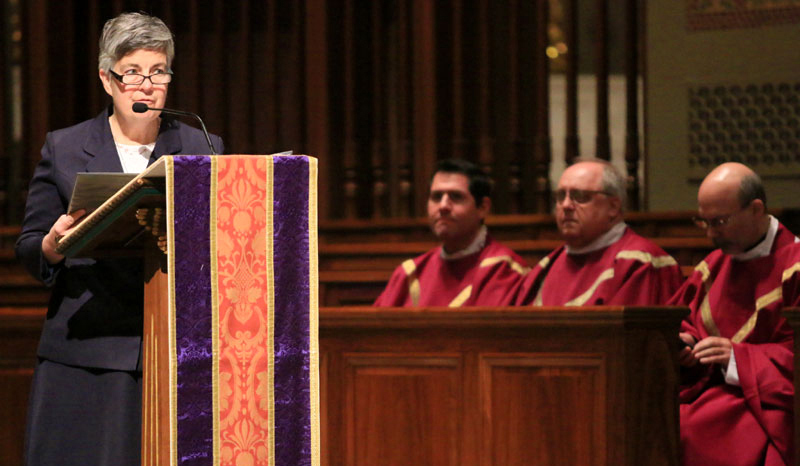 Jimmy from Don Guanella prays during Mass. 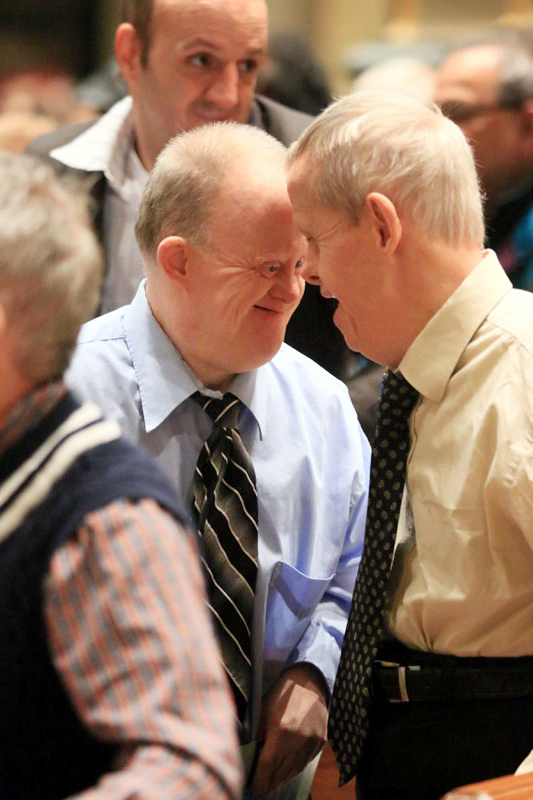 Jack and Eddie from Don Guanella share a smile during Mass. 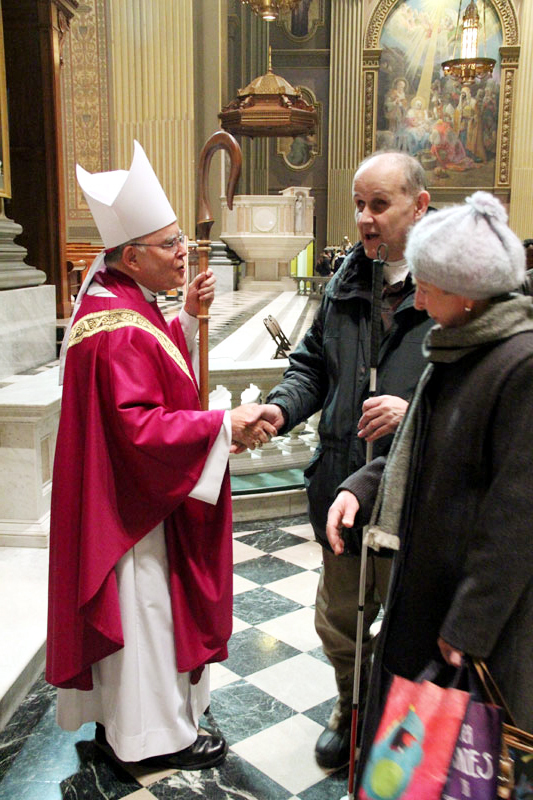 Archbishop Chaput greets Joe Sickora and his friend Mary Dressler from St. Monica Parish, Philadelphia. 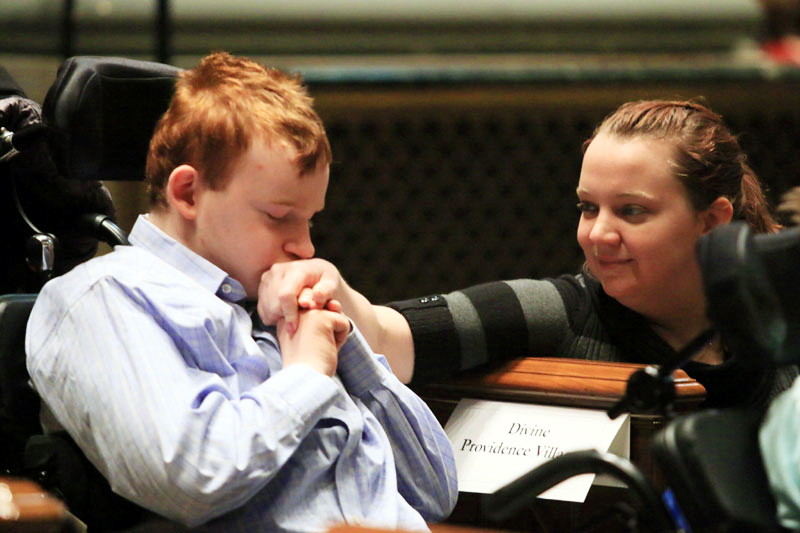 Connor and Patti Lynn Fitzgerald. 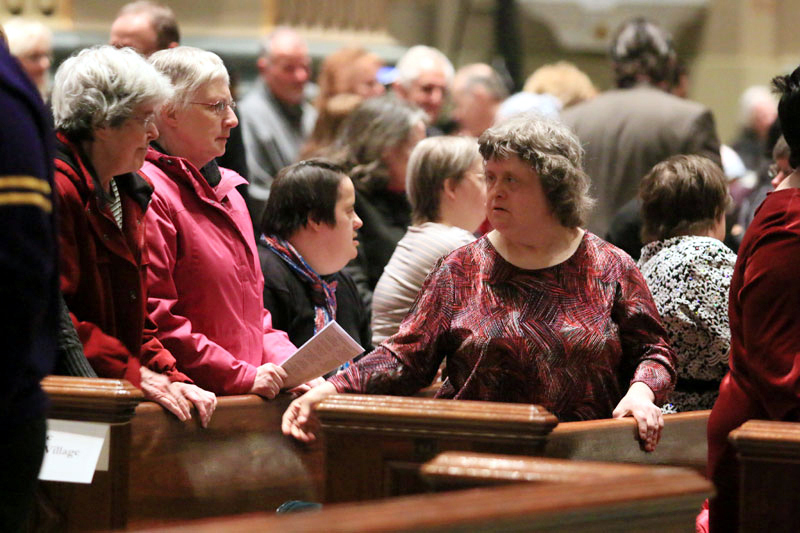 Members of the deaf community participate actively in the Mass by use of sign language. 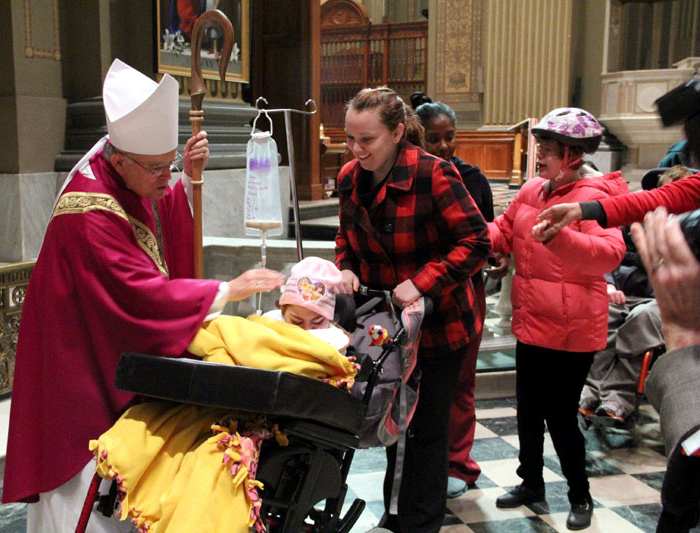 Archbishop Chaput offers a blessing as he greets the employees and residents of St. Edmond’s Home for Children, Rosemont. 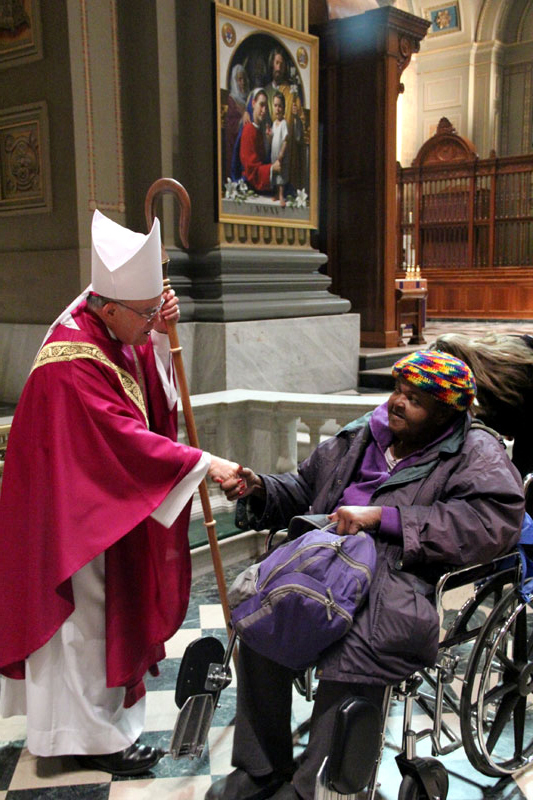 Archbishop Chaput greets Karen Collins after Mass. 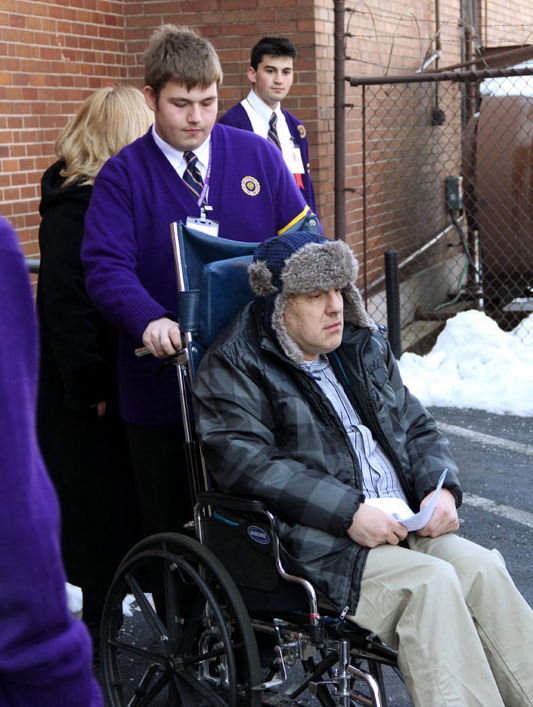 Michael Frye along with fellow Roman Catholic High School students volunteer to assist those in need before and after Mass. 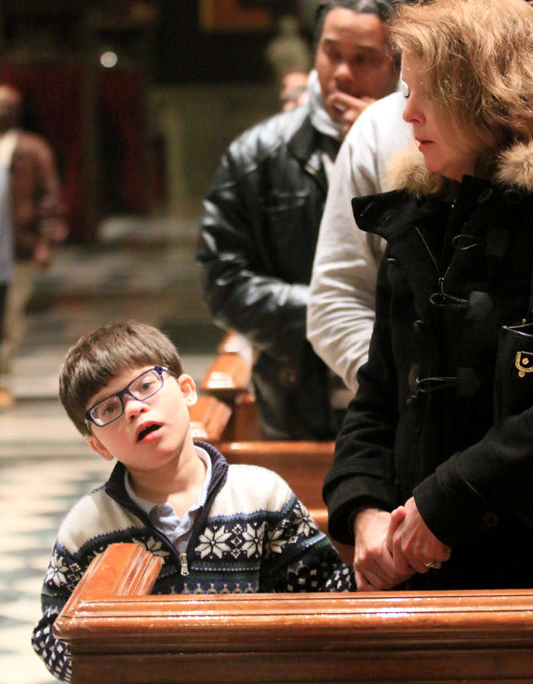 Steven Cartwright and his mother Linda, from Blessed Teresa of Calcutta Parish in Limerick, hold hands as they pray the Lord’s Prayer.